The Weibo account of Chinese serial leaker @KJuma contains a couple of items related to the upcoming unveiling of the Apple iPhone 6s and Apple iPhone 6s Plus. According to one diagram on the page, the Apple iPhone 6s will feature a resolution of 1125 x 2000 on its 4.7-inch screen, which works out to a pixel density of 488ppi. The Apple iPhone 6s Plus will carry a 1242 x 2208 resolution, according to this rumor, resulting in a 460ppi pixel density. To put both of these figures in perspective, the current Apple iPhone 6 features a 750 x 1334 resolution (326ppi). 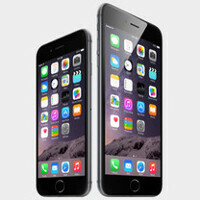 The Apple iPhone 6 Plus offers an FHD resolution of 1080 x 1920, for a pixel density of 401ppi. Previous speculation had Apple keeping the resolution the same on the new handsets. The Weibo site also contained an alleged Geekbench score for the iPhone 6s, reportedly done on Thursday. It showed the phone running the A9 SoC with the CPU clocked at 1.8GHz. It also revealed that 2GB of RAM was employed by the phone. The single-core score was 2248, while the multi-core tally came in at 4036. As usual, in a situation like this, we suggest taking this information with a grain of salt. The good news is that we don't have long to wait for all to be revealed. This Wednesday, Apple will unveil its new products at Bill Graham Auditorium in San Francisco. As we told you last night, security was tight as Apple started hanging banners and making last-minute changes for the September 9th event. If this is true, I still wouldn't buy the phones but it is good to see them advancing. Thanks for pointing that out. Actually, it looked like a "3" to me which is why I typed it that way. But now that you point that out, yes it does look like 1125. We had a number of readers send us the tip, I know you were one of them, so thanks! Regards, Alan F.
The only thing i want to know the battery performance of the 6s. Coz they already had a pathetic battery performance with that 750p screen. This rumor is fake.. posted by the same guy again. Finally a bump in resolution! Won't happen, there is absolutely no chance this will go through. Increasing the screen resolution without increasing the current battery size would mean the iPhone will have literally half the battery life of the previous one (which was pretty abysmal to begin with). Even if they save battery from other components, the screen of the phone is what eats 80% of the battery in normal usage and likely can't be offset with that kind of a resolution increase. I don't think it will happen either, but do us all of a favor & stop making stuff up. "Increasing the screen resolution without increasing the current battery size would mean the iPhone will have literally half the battery life of the previous one..." Screen size affects battery life to a much higher degree than resolution. What you're saying is simply asinine. The battery life might decrease, but definitely not by half. Don't throw out random figures if you have no idea what you're talking about. Pixel switching is very low energy usage when compared to the backlight. Sure, more pixels use more energy, but it's not a linear ratio especially since smaller pixels take less energy. Sony's Xperia z5 premium is an example of how even a massive boost in pixel density doesn't have the same level of drain. The Xperia z5 premium has 4 times the resolution as the z5, but a nominal increase in battery size. Both claim to have the same battery lifespan. I just downloaded iOS 9 on my 6 plus and it's so smooth, with the new iPhone getting 2gig ram will only make it better. I can't wait for this. Any multi window, slide over, or pic n pic? I thought that feature only available for iPad..
Now people will stop saying it's an overkill for any display up to 500ppi. It was never overkill. Put a QHD phone next to a 1080p phone with a full webpage on each of them. The QHD phone clearly has the crisper text. The difference is less visible in video and images though. I still remember when Apple fans would all argue that "retina" display is the best and highest quality display and that it cannot be improved, even with higher ppi bc anything above "retina" is impossible to be noticed by a human eye. Since the Iph*ne 6 plus was released, they've stopped saying that the 1080p displays are an overkill except for QHD displays. If this report is true, I can guarantee you that they'll no longer say that QHD displays are an overkill. Sorry bro, but I barely see a difference between my old iphone5 and my 6 plus. If I put my nose on the screen, it's an ever so slight difference. Remember Steve Jobs was referring to a normal viewing distance. Non of these screens look different from normal distance. As far as these so called slight poi improvement, I would give you my next pay check if you could show me the difference in 59 more PPI. Did you hear the story about the Sony phones at IFA? They had phones on display and all the journalist ran over to see the 4k screens. They were drooling over the display until Sony informed them that they were the 1080P phones. The 4K were in the back lol! I can easily see the difference in resolution between QHD (S6) and FHD (Nexus 5, One M9, etc) if the screen is at least 5". I haven't seen 4k yet but the difference should be harder to see when compared to QHD. Comparing an iPhone 5 to an S6 is like night and day for example. Just because you don't see don't say it's not noticeable. But after QHD and well calibrated OLED/POLED/AMOLEDs what I want to see is proper battery life in smartphones and even better cameras with low light. The rest is secondary. Lol your sight must be bad then. The 6Plus screen is noticeably better than that of the 5. Everything is so much crisper. Who cares what Steve Jobs said about it? 3.5" is all anyone would need? Of course, he would say that. He had one model and it was 3.5". Retina was all that was needed? That's all he had. He was marketing, not providing some clever insight to the universe or human condition. His group produced some good products, but selling them was always the only true goal. The retina display can't be improved without switching panel technology. The Note line has a superior display only because of the contrast and color accuracy. It looks like the Z5 might be competitive now since they're switching away from the blue LEDs that plagued the Z3 line. LOL Sony and competitive displays? LOL! Sony has the best 4k TV screens on the market. It would make sense that they could replicate the clarity and color accuracy on a smaller screen. That processing power is scary.